With Leadership by Dr. Chris Carpenter! 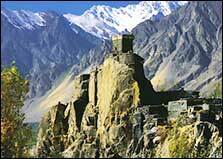 Lofty Peaks, National Parks, and Villages of the Silk Road & Karakoram! This fall, I invite you to join me on a journey to explore the northern Silk Road, including the oasis cities of Urumqi and Kashgar in northwest China and the Hunza Valley of far northern Pakistan. The region where China meets Pakistan is wild and scenic, with contrasting landscapes and cultures. People of the arid valleys channel snowmelt from nearby mountains to water apricot orchards and grape arbors. Mountain people range highland meadows and spruce forests on horseback, spending summers in yurts of felt or canvas. 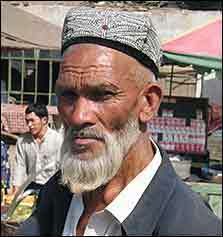 We’ll meet groups of Uygher, Kazakh, and Tajik peoples in Western Xinjiang, and several other cultural groups in Hunza. The oasis towns of Turpan and Kashgar, in China’s Xinjiang Province, are cultural centers for the Uygher nationality, with colorful homes and a rich history of folk art and scholarship. The ongoing flow of people and ideas has engendered a strong sense of hospitality and has given worldly perspectives to otherwise isolated communities. the Aga Khan, Hunza has modern schools and numerous cultural restoration programs are underway. If the prospect of visiting northern Pakistan concerns you, please know that all of the places on our itinerary (which we visited several times recently) are peaceful, friendly, and secure. Hunza valley, from Gilgit to the Chinese border, is geographically isolated from other parts of Pakistan and self­contained. 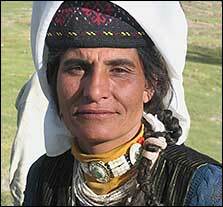 Residents of Hunza regret that Muslim societies have acquired a negative image in the Western world and they try hard to dispel stereotypes. In fact, the cohesive Ismaili community of Hunza is not anti­Western in any sense. Moreover, the government of Pakistan is very security conscious. We will be well­looked after during this portion of the tour. We hope you will join us on this unique adventure to explore the cultures, national parks, and extraordinary, scenic landscapes of Xinjiang and Hunza!